The Algarve is one beautiful, sunny piece of the planet. Loved by millions of tourists who go here to unwind at one natural wonder after another. The breathtaking coastline is diverse and it is hard to choose the best spot, as the region has so much beauty to offer. 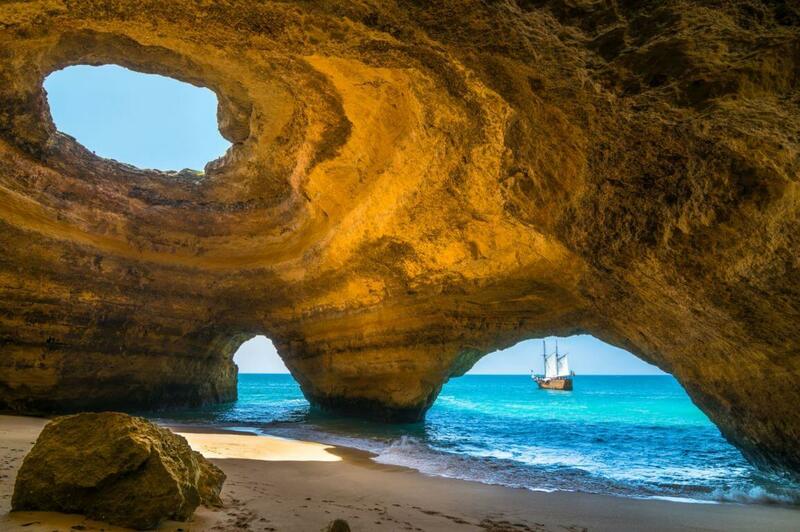 In this article we have listed the best highlights of the Algarve. Ponta da Piedade in Lagos is without a doubt one of the best attractions of the Algarve. This coastal natural wonder is a group of stunning rock formations along an unpolluted part of the sea that were formed hundreds of millions of years ago. It is especially fun to visit the rock formations by boat or by kayak. In that way you can get a very close look of all the different rocks, that each have their own name. The water of the sea here is perfect. Expect to find all the shades of blue and green that you can only envision from a tropical paradise. From sunrise to sunset, Ponta da Piedade is the #1 place to put on your must visit list of your holiday in the Algarve. 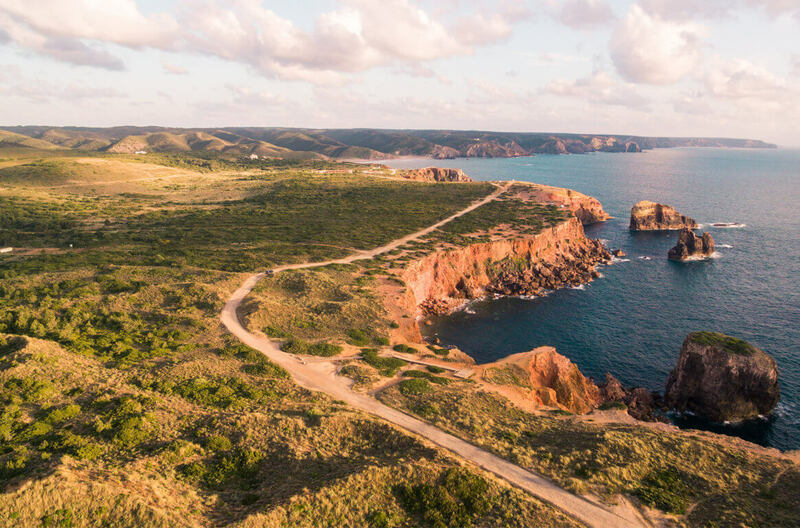 Another great highlight of the Algarve is the Cape of St. Vincent in Sagres. The Cape of St. Vincent (in Portuguese: Cabo de São Vicente) is the most south-western tip of continental Europe. At this important landmark you will stand on impressive cliffs that rise about 75 metres vertically above the Atlantic Ocean. The ocean here can be very ferocious and this windy place was for centuries thought to be the end of the world. At Cape of St. Vincent you will find a beautiful monastery from the 15th century and a lighthouse from 1846. 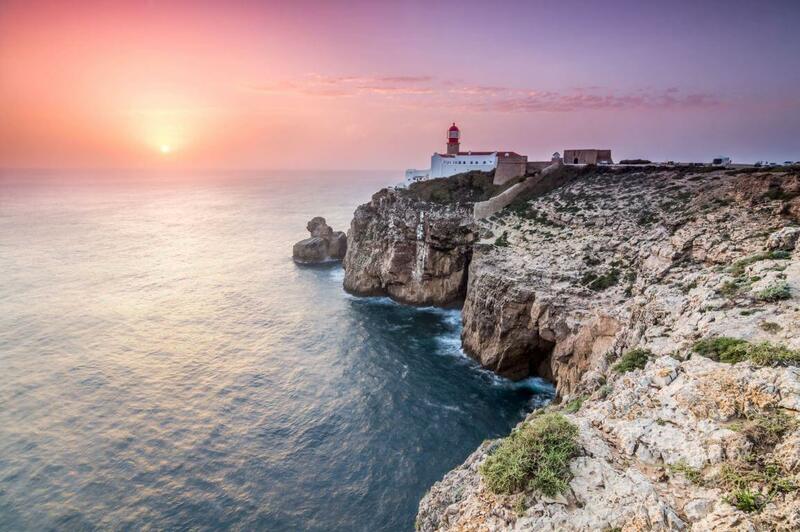 This highlight combines history with one of the best nature hotspots of the Algarve. 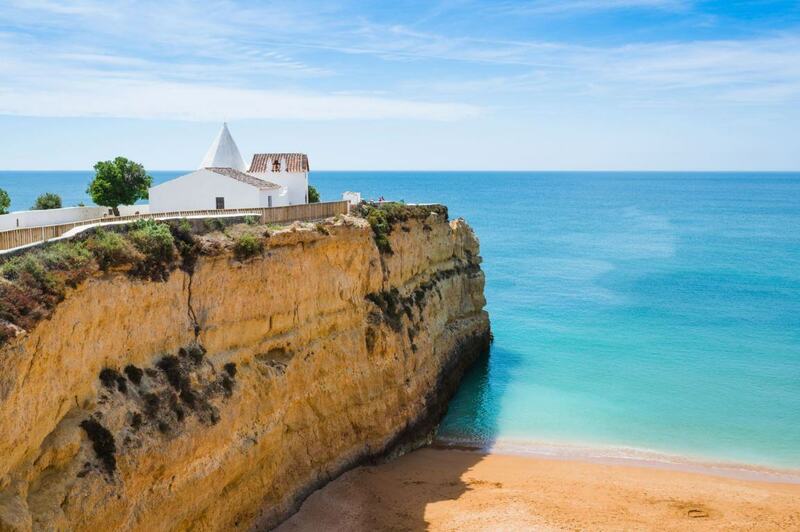 The Algarve has a beautiful coastline and what better way to explore the diverse beaches of the Algarve than by doing a cliff walk. The best cliff walk goes from Senhora da Rocha to Praia da Marinha. This healthy activity is perfect to enjoy the gorgeous coastline of the Algarve. You will walk through beautiful green flora and fauna and will pass along many gorgeous bays and rock formations. 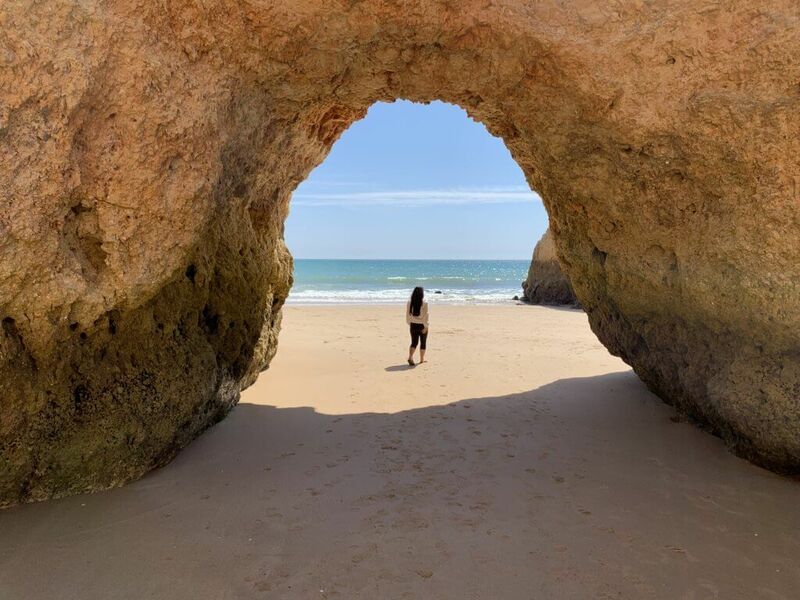 One of the best beaches in the Algarve is Praia dos Três Irmãos. This beach is your go to spot for a day of sunbathing, swimming and snorkeling. The beach is surrounded by different rock formations that protect the beach from the sun and the wind. In the water there are also 3 impressive rocks which are referred to as the three brothers (in Portuguese Três Irmãos). Praia dos Tres Irmãos is not one large beach, but it consists of four small coves/bays. The water here is clean, the sand is soft and kids love to explore the many hidden caves. Praia da Marinha was already mentioned before in this list as a destination where you can start or finish an amazing cliff walk. However, Praia da Marinha is also an incredible beach to spend the day. The water here is perfectly clean which makes it great for snorkeling and swimming. 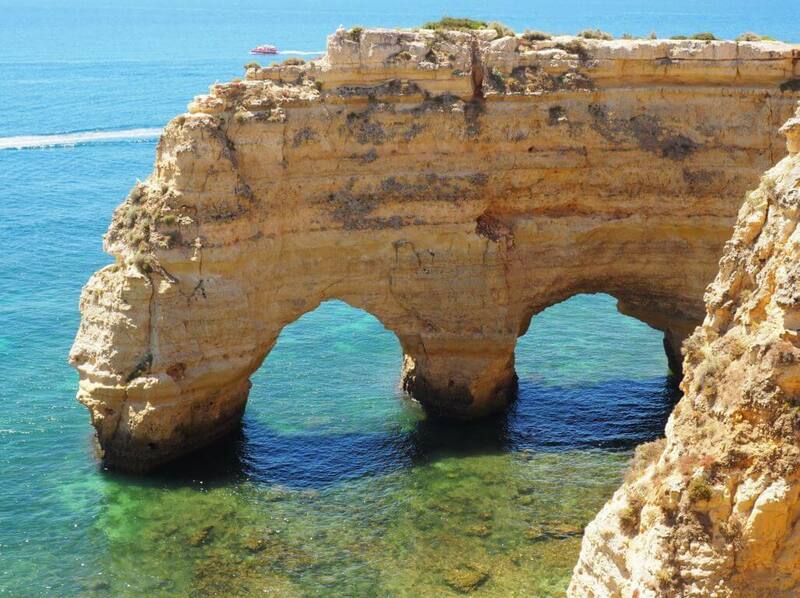 Praia da Marinha is known to be one of the best beaches in the world as it is surrounded by amazing rock formations. Marinha has one unique rock that you will never forget. The rock structure has the shape of a large letter M. The locals call this rock the Cathedral. Algar de Benagil near Praia de Benagil is one of the best things to see in the Algarve. Literally, Algar means cave. This particular cave has a round hole in the ceiling that frames the beautiful blue sky inside. The Benagil cave is nicknamed ‘the eye’ and can be found on many lists of places you have to see in your lifetime. You can visit the cave from the inside and get there by boat, kayak or go swimming from Benagil beach. The latter is no punish at all, since the water here is crystal clear, making it also great for snorkeling. In addition, you can also visit the cave from above and look through the eye down to the beach and sea. The westcoast of the Algarve is known as Costa Vicentina. This beautiful, unspoiled landscape is rugged unlike the rest of the Algarve. Since the ocean here is rough it is very popular among surfers. This wild part of the Algarve is also favoured by people who love to go camping. Furthermore, the Costa Vicentina is growing in popularity for people who like to go on yoga retreats and other holidays where there is focus on body and mind. The westcoast of the Algarve is an excellent destination to enjoy nature and find peace. 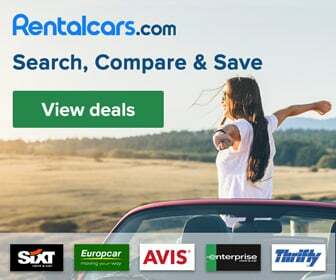 It certainly is one of the highlights of the Algarve. The waters of the Algarve are the habitat of everyone’s favourite animal: the dolphin. 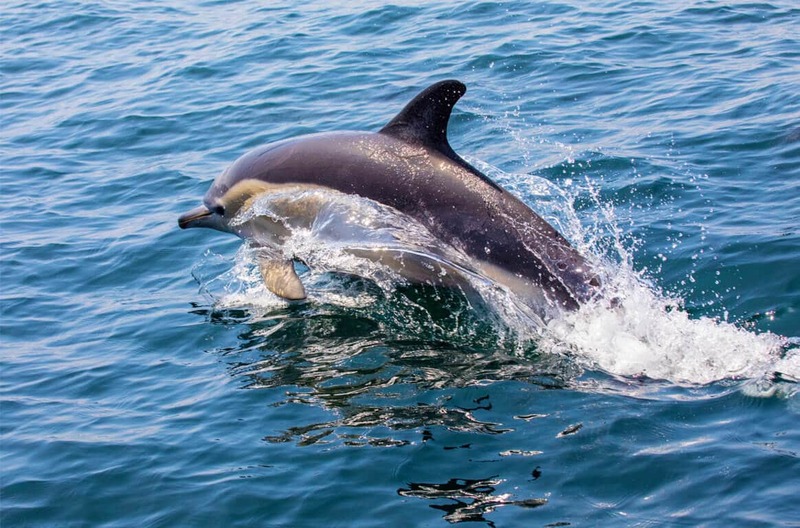 From different places in the Algarve you can book a boat tour to see the dolphin families. It is a fun activity for the entire family. In addition, chances are that you will see more beautiful sea creatures. The Algarvian waters are also home to the minke whale, the orca, sea turtles and even some sharks species. Ponta da Piedade as you might recall is featured earlier in this list. You can travel to these beautiful rock formations by car, but it is even more exciting to take a boat tour. 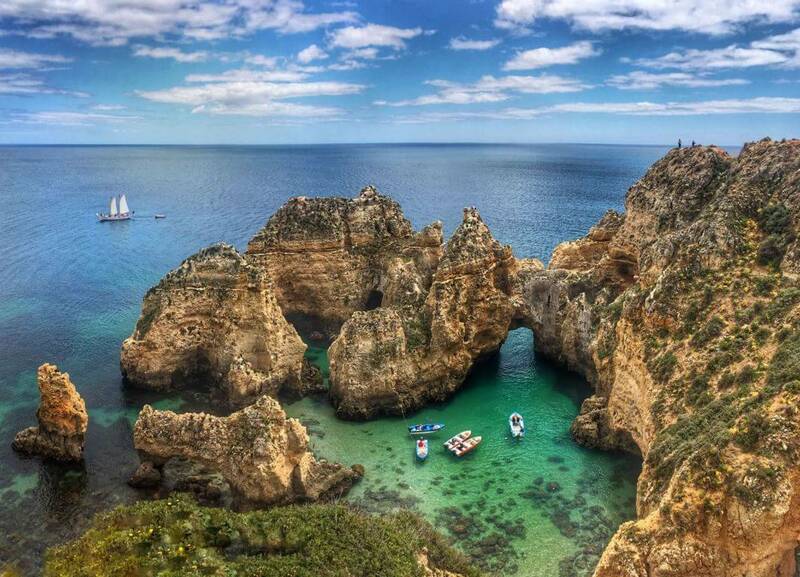 From Lagos there are many great boat excursions that take you to Ponta da Piedade. Visit this magnificent natural wonder by boat and get to see the coastline from another perspective. The guide on the boat will also tell you all the inside information about this region. The Algarve is not only about beach life. 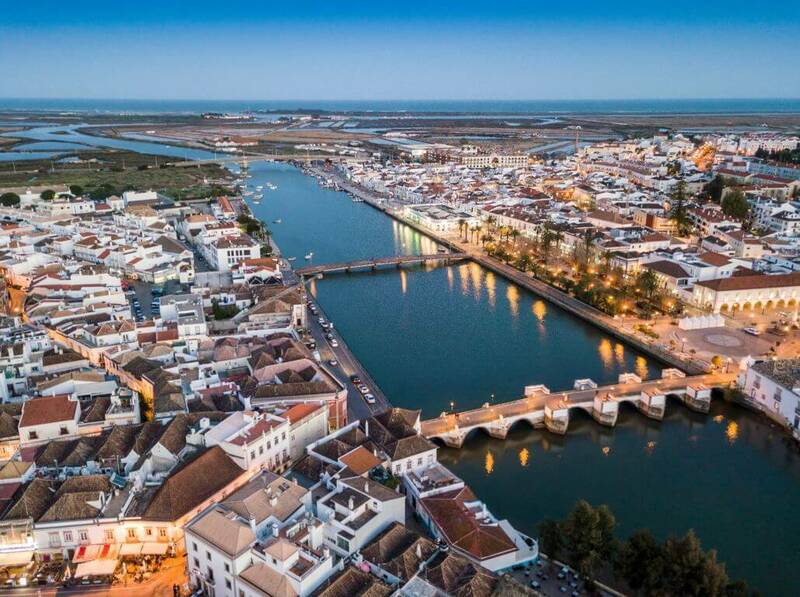 One of the best destinations in the Algarve is Tavira. This historic town with Moorish architectural influences is filled with many top rated restaurants, picturesque plazas and cobbled streets. Tavira has a beautiful river with a Roman bridge and several interesting churches. Also, there are the ruins of a castle that was built in the 13th century. In Tavira, life is easy and outdoors. It is a true highlight to go for a stroll and take a break at a bench in the park, enjoying a nice refreshment. Silves is another great town in the Algarve. This historic old town was once the capital of the Algarve. 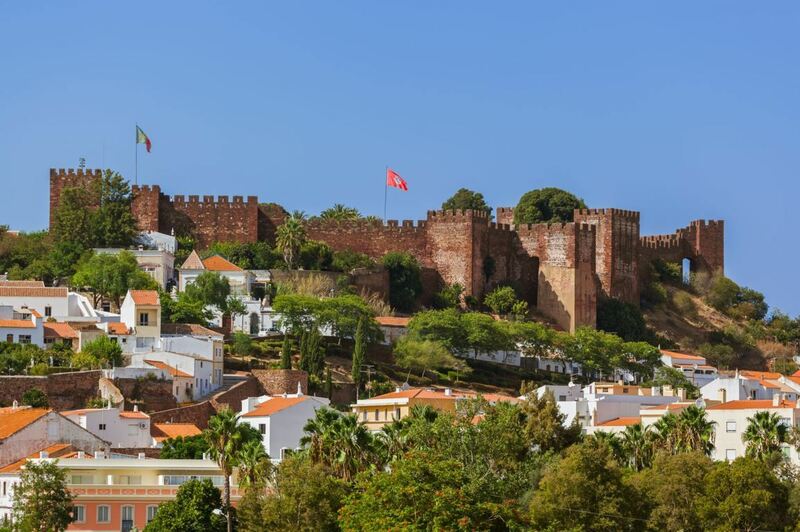 Silves stands out because of the beautiful Arabic architecture and the castle. The alluring castle of Silves is the best preserved castle of the Algarve. The castle was built by the Moors between the 8th and 13th century. The red sandstone castle was used to defend the town of Silves during wars. You will see the castle from afar as it is situated on the highest hill of the town. From the castle you also have the best panoramic view over Silves.